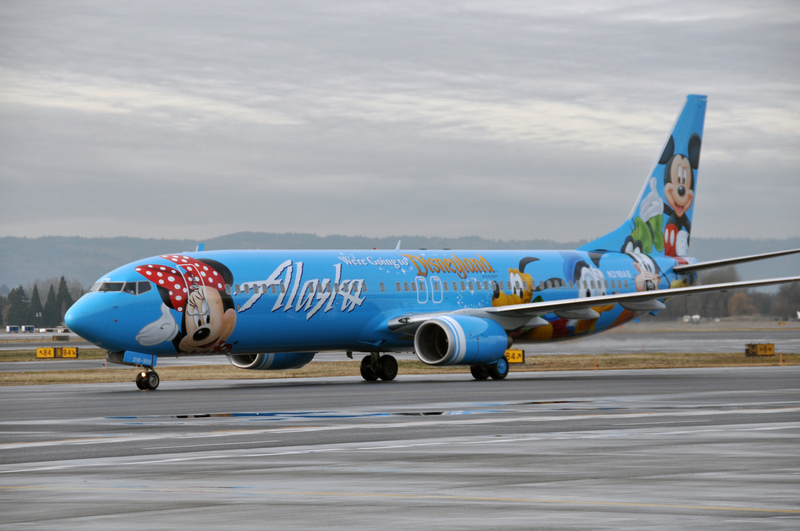 Alaska Airlines rolled out it’s 5th Disney-themed aircraft last week. The Boeing 737-800 is named “Adventure of Disneyland Resort” and celebrates Alaska’s partnership with the Disneyland theme park. Here’s the full Press Release. Aircraft paint schemes must be very effective advertising… Alaska’s new 737 makes me want to pack up and visit Disney. Don’t miss the video below: Painting ‘The Adventure of Disneyland Resort’. Who doesn’t love a cool time-lapse video? Japan Airlines (JAL) also has an ongoing relationship with Disney. Check out some of JAL’s beautiful, Disney-fied ships below.